The capital city of Portugal, Lisbon, is like the cup of espresso enjoyed after a Portuguese meal: small, but full of flavor! …there are plenty of opportunities to stop and stare in wonder. Lisbon serves as a home base to explore other wonders of Portugal, as well! 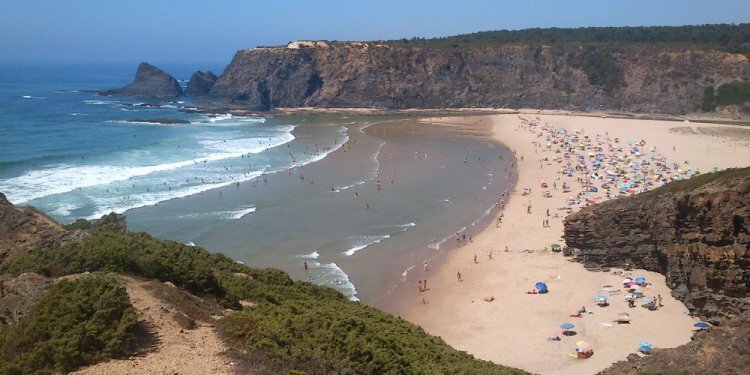 Drive south through the beautiful countryside for about 2 ½ hours and you will find yourself in the beach region of Algarve. Or, if you choose to head north from Lisbon instead, an hour on the train will take you to the enchanting mountain town of Sintra. or stroll through shaded streets to your heart’s content. So as you can see, Lisbon and the surrounding cities of Portugal may be small, but they have enough heart–and color–for anyone who wants to take part.